Winter is setting in, yard maintenance for the most part is done for awhile, and you’re probably spending more time indoors than out these days. Now is the perfect time to grab a cup of cocoa and start dreaming of the perfect garden that you’d like to have in your Minneapolis yard. With a few months to work in, you’ve got the time to gather your ideas and have a consultation with a professional landscape company. Then before the spring comes you should feel confident about your choice to work with a landscape design contractor who is able to provide you with more insight on where to place your garden throughout your landscaping for the best results and beauty throughout the year. Choosing the type of garden, such as a flower or vegetable garden (or perhaps both) is not the hard part of the gardening process. There are a lot of other factors that go along with planning the perfect garden, but here’s the most important factor – where are you going to put the garden in your yard? A landscaper is going to look at the amount of space in your yard and then determine where the plants are going to thrive out of the options that you have to work with. Once you understand which type of climate you need – based on the type of garden – you can work with the landscaper to choose the perfect location. Location means almost everything when it comes to doing a garden. There are a lot of factors that come into play when making this choice – overall terrain, yard layout, your home’s design, as well as the other elements you want in your landscape such as an outdoor kitchen, a pool, and other areas. Watering the garden is also another hurdle you have to jump. This is for the simple fact that you want to ensure the plants are getting an adequate amount of water without having to move the hose or other item across the yard. Your landscape contractor can set up a sprinkler system or other irrigation system to simplify things. Obtaining the right amount of shade for the garden is important, and professional landscape designer will be able to locate a spot within your yard that is able to shade the right amount over the garden or place certain plants around your new garden for the right coverage. There is a certain amount of time plants need in the sunlight and then in the shade, but this depends on the types of plants being put in the garden. The amount of shade that you need also depends on the season that you’re in – but you can add and take away as seasons change – just ask your landscaper. Once you’ve spoken to the professional landscaper on what you’ve got in mind, you’re then able to get started on designing the garden. You and your landscaper can go through and make sure that you have everything you’re looking for in your garden. A Minneapolis landscape designer can develop a plan for the perfect garden space for you and the needs and wants that you have. They are able to work out the best plan that fits your needs without weighing down your wallet. 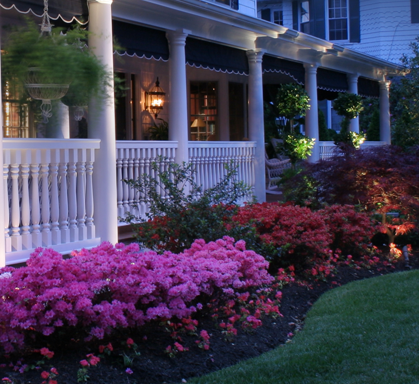 Speak with Architectural Landscape Design to find out how they are able to implement the most beautiful garden design in your landscape for an affordable price. You can have luxury and beauty in a MN backyard garden with a little help from our garden design experts.